Each movie year seems to have a personality of its own. 2013 brought us an inordinate number of films “based on” or “inspired by” true stories and real people. It was also a year jam-packed with quality films. Perhaps there are no instant classics like Goodfellas (though American Hustle borrowed its style) or Mary Poppins (though Saving Mr Banks was based on the story behind getting the film made in 1964), but we were treated to an exceptionally high number of well made, interesting and entertaining films. Blockbusters always get the most press coverage, and 2013 brought The Hunger Games: Catching Fire, Iron Man 3, The Hobbit: The Desolation of Smaug, Man of Steel, Star Trek Into Darkness, Thor: The Dark World, Fast & Furious 6, and World War Z. Each brought in big bucks, while The Lone Ranger, Ender’s Game, and A Good Day to Die Hard came up short financially. However, some of the best movie watching came courtesy of smaller films, a few documentaries, and some exceptional acting performances. A bunch of my favorite directors (and some of cinemas greatest risk takers) released movies this year: Joel and Ethan Coen, David O Russell, Martin Scorsese, Ron Howard, Alexander Payne, Pedro Almodovar, Steve McQueen, Woody Allen, James Wan, JC Chandor, Stephen Frears, Baz Luhrmann, Scott Cooper, Ridley Scott, Alfonso Cuaron, and the final film (so he says) of Steven Soderbergh. Whether you like their films or not, these directors are always pushing the envelope and bringing us something new to experience on the silver screen. While ticket sales are not the determining factor in the quality of a film, they are the leading indicator of viewer interest. 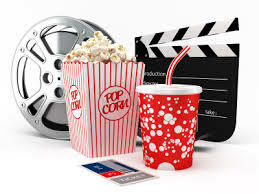 The overall domestic (U.S.) box office came in at the same $10.8 billion as 2012; however, the growing international market resulted in an overall increase (China was up a whopping 27%). The Hunger Games: Catching Fire led the domestic box office, but it was Iron Man 3 that ruled the world with $1.2 billion. 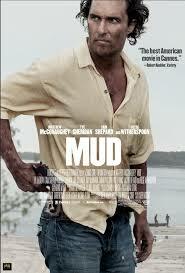 In the U.S., thirty-three films grossed more than $100 million (31 in 2012), with 13 eclipsing $200 million (11 in 2012). So with all due respect to Steven Spielberg, the movie business isn’t dead yet. But for those who keep predicting its demise, your annual prediction will surely prove true some day, so don’t lose faith. Until that day, you can still find me at the local theatre. My annual disclosure: First, these are NOT my Oscar predictions, but rather my personal preference of those movies that had the most impact on me. This explains why my “Best of” list so often varies significantly from the lists of professional film critics. Next, there is no mandate for a Top 10 … I go with the natural break. This year, there are 11 films I rate above the others, and then 35 more fall into the “Next Best” group. Hopefully, out of these 46 movies, you can find plenty to justify that Netflix subscription! Here are my favorite 11 movies of 2013, including a brief description and a link to my full review of each. This is the first time a documentary has landed in the top spot on my annual Best Of list. Watching these talented singers get the attention that so often eludes them is heart warming, and its even better to hear the personal stories from each one of them. The singers are talented. The music is entertaining and soul-piercing. The stories are inspirational, and at times, heart-breaking. As a bonus, the early Springsteen “complicated” quote sets the tone. 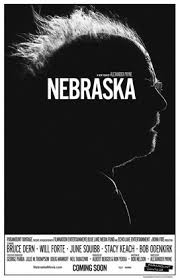 Bruce Dern, June Squibb and Will Forte are absolutely believable as a small town family dealing with isolation, aging and life’s shattered dreams. Director Alexander Payne reminds us that he is an expert at capturing human nature – both the good and the not so good. The black and white presentation causes us to focus on the characters, and nothing capitalizes on brilliant (and often funny) dialogue like a road trip through the past. Unflinching director Steve McQueen brings us a most uncomfortable view of slavery while telling the story of a remarkably resilient man battling through a bleak world … and never losing hope. While it may not always be pleasant to watch, it is the grittiest examination of slavery seen on screen … never once letting us forget these are human beings. 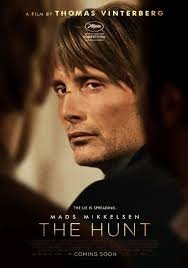 A powerhouse performance from Mads Mikkelson, whose character is wrongly accused of an unthinkable crime. His approach is difficult to watch and costly to him personally and professionally. It’s a psychological study of the quick-to-judge mentality in an otherwise sane world. The film challenges you to put yourself on both sides … accused and accuser. The cute little girl and the down to earth people add an element of simplistic confusion. 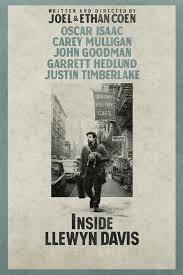 1961 Greenwich Village through the eyes of Joel and Ethan Coen, and the singing voice and soulful eyes of Oscar Isaac. The comedy and personal drama are blended to perfection as a struggling artist deals with grief and creative frustration. Musical director T Bone Burnett capitalizes on the talent of Isaac, Carey Mulligan and Justin Timberlake to drop us smack dab in the middle of this transitional era. Brie Larson delivers what is probably my favorite female performance of the year. 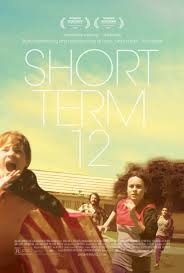 A little movie that packs a punch focusing on the staff of a foster care facility for troubled teens. Never shying away from the mundane, you’ll find yourself connected to at least one of the kids … maybe even the talented emotional wreck of Marcus played by Keith Stanfield. This one got to me, but good. Who knew Abscam could be so entertaining? An acting (and hairstyle) clinic from Christian Bale, Amy Adams and Jennifer Lawrence just adds to the novelty of such colorful con artists with their backs against the wall. 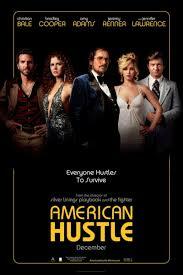 Director David O Russell rules over this psychological study of ego and ambition, from those on both sides of the law. One of the best and most believable teen com-drams of recent memory, with top shelf performances from Shailene Woodley and Miles Teller. Popular party boy falls hard for earthy nerdy girl. It’s Say Anything … for a new generation, only a bit darker and without the kick-boxing, boom box and trench coat. 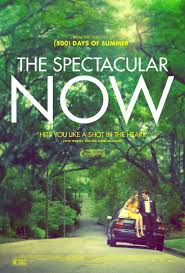 One of the rarest of movies: a realistic movie of grown-up courtship that doesn’t involve millionaires and super models. 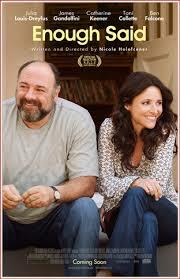 The late James Gandolfini and Julia Louis-Dreyfus fumble and bumble through the early stages of a relationship, showing how opinions of outsiders can poison the love potion before it fully kicks in. 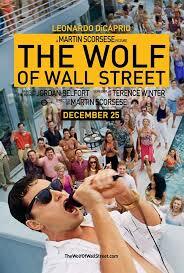 Martin Scorsese and Leonardo DiCaprio join forces for their fifth collaboration, and remove all filters, all inhibitions, and all good taste while telling the mostly true story of scumbag stockbroker Jordan Belfort. This is closer to Caligula than Wall Street, and again makes us question just how far the unscrupulous types will go to take our money. Matthew McConaughey continues his progression to full A-level acting status with one of his three staggeringly great performances of the year (see also Dallas Buyers Club and The Wolf of Wall Street). But there is also an interesting story here featuring two young boys, Reese Witherspoon, the always great Sam Shepard, and a boat in a tree. My reviews of these films can be found via quick search on the site. Captain Phillips – Barkhad Abdi is the Captain now! The Iceman – Michael Shannon as Richard Kuklinski. Wow. 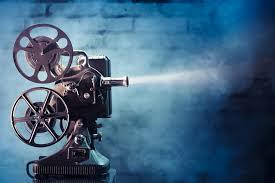 As always, I welcome your feedback and ask that you share the list and site with other movie lovers. If you subscribe to the site, we can discuss movies all year long! Great list David, and a few i have not seen. Planning on watching ‘Enough Said’ and ‘Iceman’ this weekend! I really enjoyed reading this. Thanks for the note Graham. Your two planned movies for this weekend are VERY different! Looking forward to your reaction to two that I liked very much. You will not regret ‘Iceman’ Graham; it’s a showcase for Michael Shannon talent. I’m glad you included that eleventh spot David; I did expect it would be there somewhere. I don’t know how you’ll fare with your Oscar predictions, since you had a near perfect score last year; I still think the Academy’s lists of 10 is pushing things, but maybe not for this year. p.s. I finally did go see ‘The Wolf of Wall Street’, wow; did write a comment because I could hardly add anything of value since you pretty much nailed what I thought about it. You got me again, Ray. I am totally at a loss with what to expect for Oscar winners this year. So many in each category who can make the case for winning … including some who didn’t even get nominated! Difficult to remember a year with so many good movies … maybe not great ones … but really good. Thank you! Looks like I can start renting movies now that I have my movie guide. A word of caution … not too many on the list would be deemed appropriate for all kids under your roof. If you would like specific information for any, you know where to find me!